I’ve been busy the last few days and haven’t had time to blog. 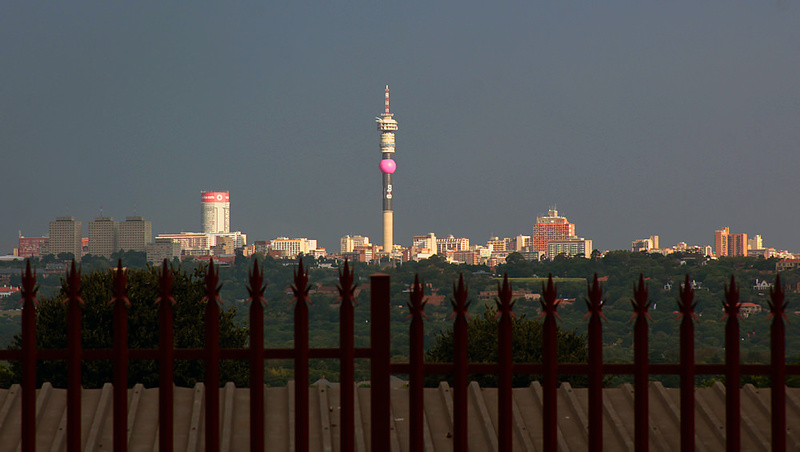 I did take a cool shot of the Jozi skyline a few days ago though. Late afternoon sun plus ominous storm clouds. A common combination in summer here. Taken from 7th Street in Linden. The Jozi skyline is one of my favorite things about this city. So many different perspectives from different parts of town. How cool! Hope you have a great weekend, too, Heather! There’s no reason you should know that, and in fact I am remiss in not telling you. It’s the Telkom Tower. (Telkom is the main telephone company in South Africa.) I’ve actually been meaning to write a blog post about that tower. I’ll get to it someday!